I did it. 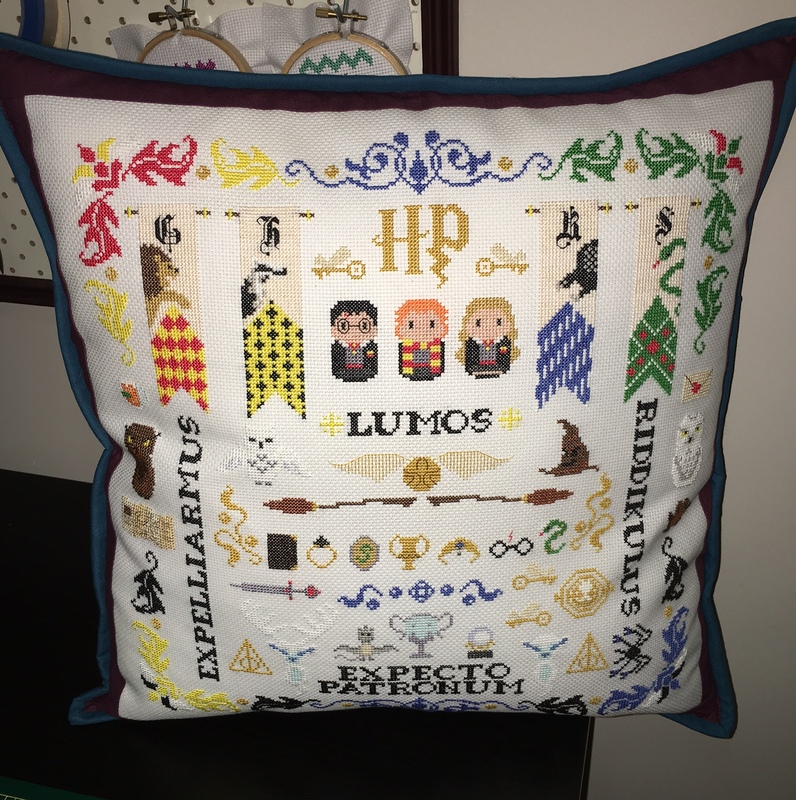 I finally finished my 3rd and final Harry Potter sample cross stitch / cushion! Not going to lie, I did a MASSIVE happy dance when this commission was all done .. It’s been a hard slog for these! There are SO many stitches, so many colour changes, and so much detail that it takes me weeks and weeks to stitch these. Don’t get me wrong, the end result is always, always worth it. Just as seeing my client’s face when they receive their cushion is worth it. Here’s the final one I completed. 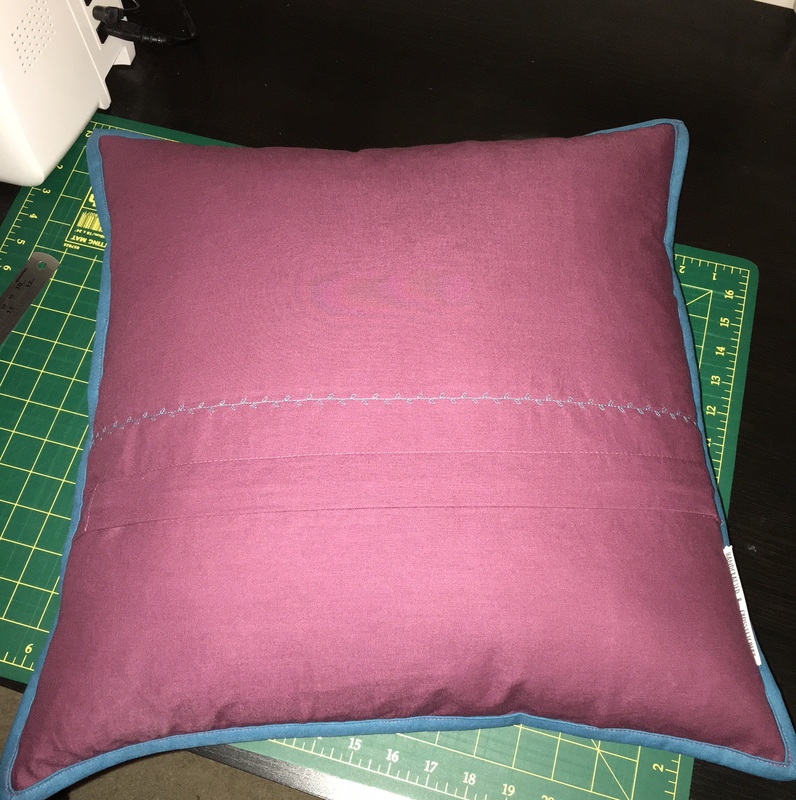 Aubergine surrounds for the cushion along with turquoise binding, and a simply lapped zipper back. I added a floral decorative stitch to the back of the cushion just as a lil’ something. This was completed a couple of weeks ago, we’ve just been busy over the last few weeks and I haven’t had time to post anything. What an amazing piece of work and fun as well. Hi there – it’s from an etsy seller called cloudsfactory; you’ll be able to find the seller when you search for them :) happy stitching!